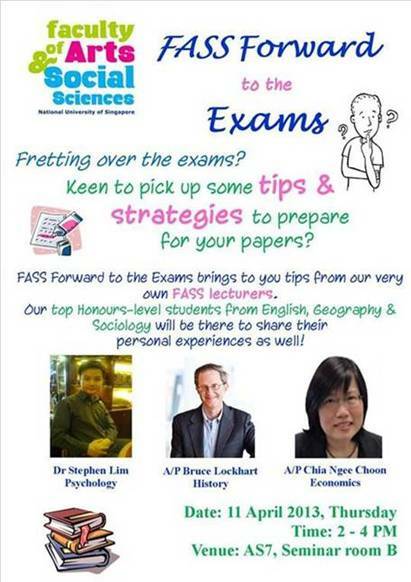 There are two upcoming events that might interest many of you – those looking for a Job/Vacation Internship at Ministry of Communications and Information, and also those hoping to pick up a few Tips/Strategies on Examination Preparation and Revision (sharing are 3 lecturers and 3 top-Honours students, including a student from Geography!). Please do sign up for these events ASAP and more importantly, please come and attend! Refreshments are provided after both events. 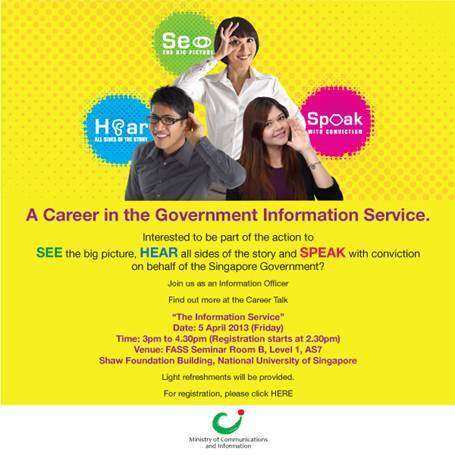 REGISTER HERE or email mci_recruit@mci.gov.sg.